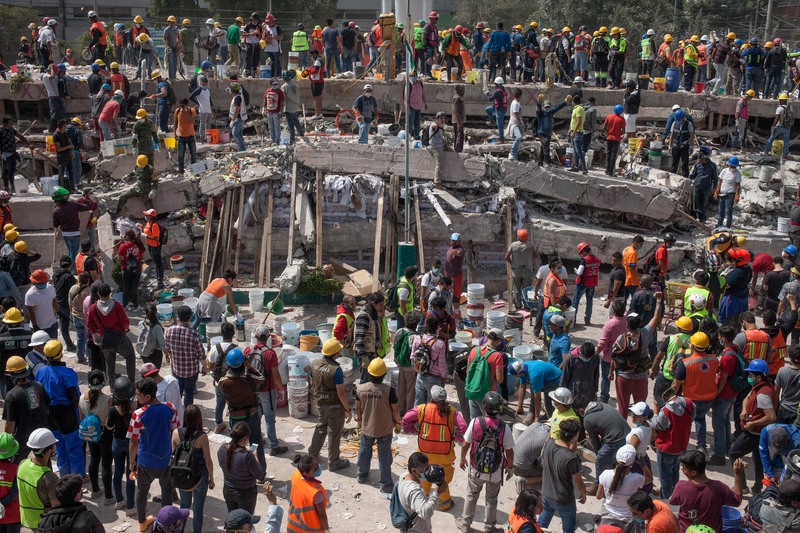 Volunteers, military, police, and city rescue workers dig through the rubble of a fallen textile factory in the Obrera neighborhood of Mexico City on Wednesday Sept. 20, 2017 a day after an earthquake collapsed many buildings in the city. 2017 saw more large-scale emergencies in sequence than ever before in Direct Relief’s history. It also gave reasons for hope, revealed in countless instances of human resilience and generosity. The photos below of Direct Relief’s work in 2017 represent that sentiment – that humanity often shines brightest in the dimmest of circumstances.